A couple of weeks ago, I had the privilege of sitting down for a chat with Escape Publishing’s launch authors, and they agreed to let me post a short vodcast of them talking about their books an answering that most important question of all: Do you kill fairies? 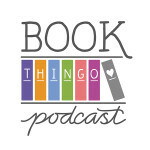 This vodcast is with Ainslie Paton, author of Grease Monkey Jive, a contemporary romance that is, according to the blurb, ‘Pimp My Ride meets Dancing With The Stars’. Off-camera, Paton mentioned that she has prior dance experience, so I’m very much looking forward to reading her book. If you can’t see the video, click here to view it directly on YouTube. It runs for just over a minute. When ballroom teacher Alex Gibson dances with Dan Maddox she’s reminded of the time she stuck a knife in the toaster, gave herself an electric shock, and saw stars. He’s precisely the type of man Alex’s mother warned her off—a player, like the father who abandoned her. Dan Maddox comes from a long line of men who were hiding under the hood of a beat-up car when the ‘successful relationship’ gene was given out, but he was first in the queue for an extra jolt of chick-pulling power. The chicks in Dan’s life are universally gorgeous, random, and disposable, until one drunken night when he picks the wrong girl, hurts a good friend, and realises that unless he does something to change, he’ll end up like his violent, unstable father. 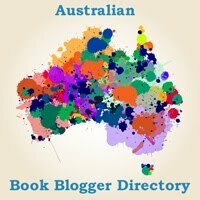 Tagged ainslie paton, australian authors, harlequin mills and boon, quickies. Loved this one too! I didn’t realise I’d read so many e-books on my laptop in the last couple of weeks! I think this is going to be my next Escape publishing book! It sounds fun.